Do you know why we should make a quick reaction toward deleting Samsung text message by mistake? And do you know how to make use of Eelphone to retrieve deleted text messages android Samsung? 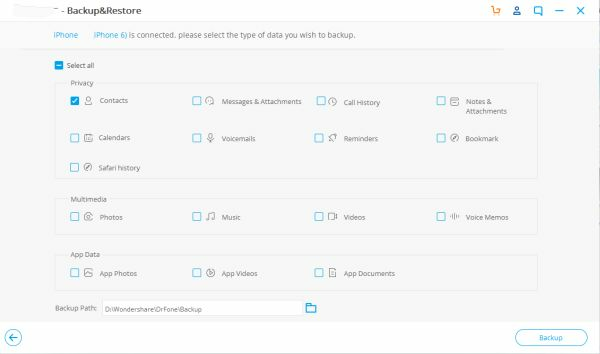 In fact, we can form good habit backup data to avoid accident, to make text message recovery easier. 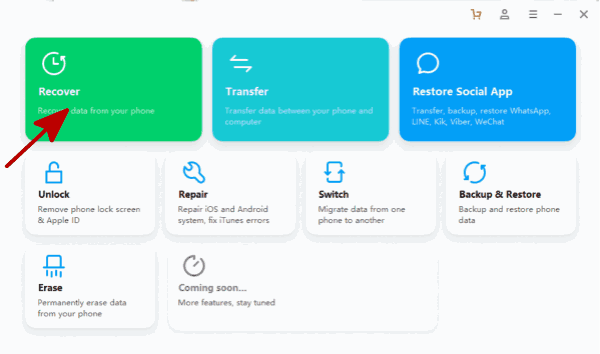 In order to ensure that the internal storage of the phone is not occupied by extra junk files and text messages, so that the phone can work smoothly and better, a lot of people will regularly clean up the files in their phones. But, as you know, an easy click on the button Delete can quickly remove the text messages without anything left so it is often a road where you cannot regret and turn back. Sometimes there are too many text messages in our phone but we are too lazy to pick out the useful one so that we just clear them up altogether. So in this case, how to get deleted text messages back? 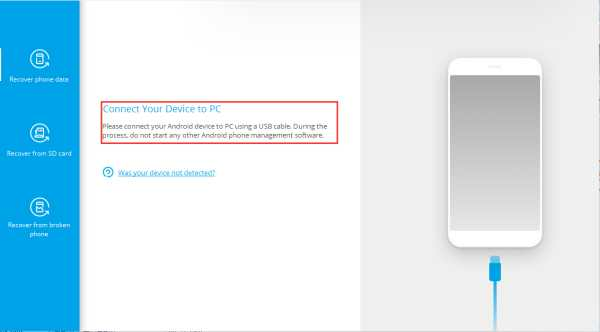 In this passage we will talk about how to retrieve deleted text messages on Samsung Galaxy S9/8/7/6/5 ou Note 9 /8 /7/5 or A7/6/5/4/3 or J8/7/6/5/4 / S10 / Fold. If you are an owner of a Samsung Galaxy phone, do not miss it. Part 1: Make a quick reaction toward deleting messages by mistake. 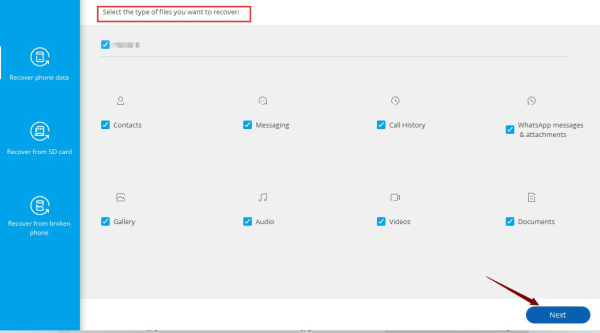 Part 2: Make use of Android Data Recovery to recover deleted messages. Part 3: Do a backup to avoid accident. After the message being deleted by mistake, you should respond promptly and take the following three steps, which can make you more likely to get your deleted messages back. -To avoid data being overwritten, do not add or delete any information from your phone any more, or you would never let them come back. -Stop using your Samsung mobile phone temporarily before find deleted text messages. -The sooner SMS is restored, the more possibility you have to recover deleted text messages, and it also can reduce the possibility that the data of your Samsung Galaxy phone being overwritten. When your phone gets an immediate response of these three steps mentioned above, you have created more possibility and a better environment for yourself to retrieve deleted text messages from your phone. Now, the next part, which is also the most important part, is to use an text message recovery app to retrieve messages. Here I really suggest you a useful software-Eelphone Android Data Recovery. So next part let's see how to use this amazing software. 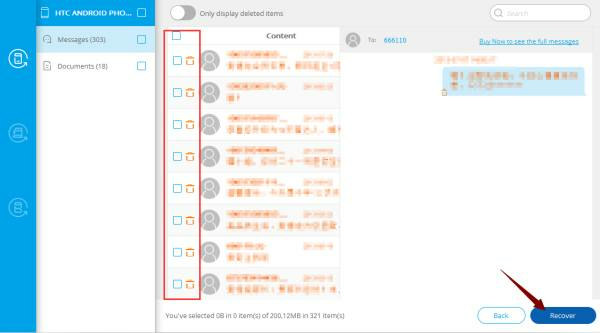 Now the main point of how to retrieve deleted texts on Samsung comes, please read the detail steps patiently. Step 1: Install the programme Eelphone Android Data Recovery and run the tool, and then click the “ Recover ” button. 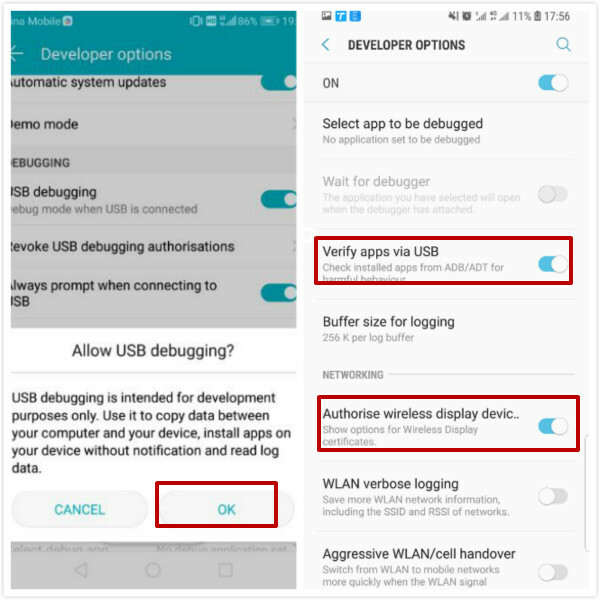 You should connect your Samsung device with the computer via USB cable. Step 2: Then there might be a window appearing to remind you if you allow USB debugging. You need to agree in order to let the recovery continue. It is also noted that there may be a reminder of super user authorization from your device during the scan period. If you are, just allow it to let it continue, otherwise you can just ignore it. It is not a big deal, because all you should do just to let the recovery continue. Step 3: In this step, you need to choose the type of data according to what you actually need. Here we need to recover deleted text messages so we should click the little square of “ Messaging ”. Then go to the next step. 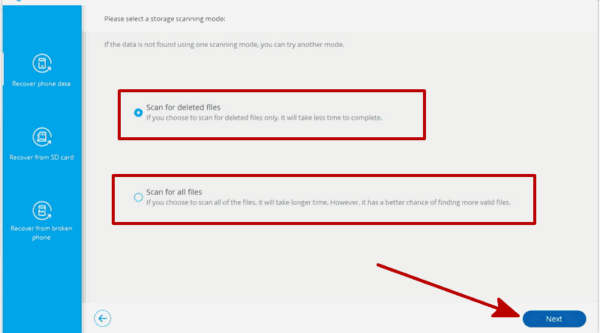 Step 4: Now there are two storage scanning mode - Standard Mode and Advanced Mode. Usually you should choose Standard Mode at first. And the software can provide you with two way to scan your device. The first one is to just Scan for deleted files, and the second one is to Scan all files. If you choose the first one, it will take less time to scan. If you choose the second one, it will have a more comprehensive scan for your files so you may have a better chance to find the message you want, but of course it will take a longer time. Just judging from your actual situation to make the right choice. Step 5: Waiting for the scan and when it finishes, you should read the files having been output carefully to make sure you can find out the messages you need. I know it may be a boring and annoying process, but please be patient to find out the messages that you need back. When you finally find it, congratulation! Now you should save the message lest it would miss again. You can save it into the form of TXT documents, HTML documents and XML documents on your computer. Step 6: Now your deleted messages are back! 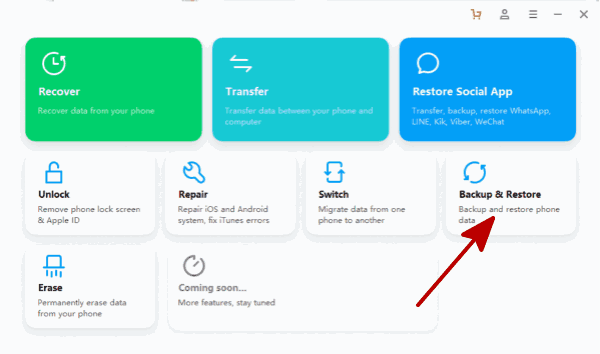 You can open the document and read the message on your computer, or you also can transfer the message to your phone again from your computer by using “ Backup&Restore ” in the APP. To avoid the tragedy that you mistakenly delete messages again, I really recommend that you should have a good habit to regularly do a data backup of your important files. Here I suggest you Android Data Backup & Restore. The procedure is as follows. Step 1: Open the program and connect the phone with your computer. Click the “ Backup &Restore ”. Step 2: Now the same step comes. Choose the files you need to make a backup and click those boxes. Besides, you should not change the data on your phone during the backup process. Step 3: When the backup is finished, you can view the backup to see what you have stored. Now you do not need to worry if you would suddenly delete the text messages one day.